Idea to charge co-pays to Medicaid recipients ostensibly will no longer be a part of state budget after governor moves to remove it from budget and House Speaker Nicholas Mattiello stated upcoming state version of budget would have sought to kill it. 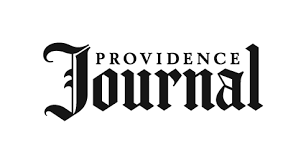 PROVIDENCE, R.I. — A high-profile cost-savings idea in Gov. Gina Raimondo’s budget plan — charging co-pays to Medicaid recipients — appears dead. As it turns out, the the initiative’s prospects were bleak anyway. Shortly after Raimondo moved to pull the co-pays from the budget, House Speaker Nicholas Mattiello said in an email that he had already been looking to kill it in the upcoming House version of the annual state tax and spending plan. The co-pays would have ranged from $2.50 for a generic-drug prescription to $8 for a “non-emergency” visit to an emergency room. When they proposed the idea in January, Raimondo administration officials said they hoped the charges would help discourage overuse of Medicaid services. A budget summary noted that 24 other states, including Massachusetts, require Medicaid co-pays. Eliminating the co-pays is estimated to cost the state $3.2 million in the year starting July 1. About one in three Rhode Islanders are enrolled in Medicaid. The $2.8 billion spent on the federal low-income health insurance program in Rhode Island represents about 30 percent of the state budget, although the federal government picks up more than half the cost. On Tuesday, Medicaid beneficiaries, including parents of small children, cancer survivors and other Rhode Islanders with serious medical conditions, came to the State House with the left-leaning Economic Progress Institute to describe the program’s importance in their lives. Eliminating the co-pays has been made easier for state leaders by revenues now projected at $135 million ahead of targets this year and next. In addition to killing the co-pays, the Raimondo administration has also proposed reversing transfers from quasi-state agencies and restoring around $18 million in funding for people with developmental disabilities.